The policy of appeasement was the name for the foreign policy of the Western European countries of Britain and France towards Germany in the years after World War I but before World War II. This time is known as the interwar years and is the general timeframe when the Nazi Party and Adolf Hitler took control of Germany. After rising to power in Germany, Hitler began to carry out aggression towards other nation-states in Europe and Hitler carried out actions that went against the general terms of the Treaty of Versailles. The Western European democracies of Britain and France did not want to enter into a military conflict with Germany at this time as both had been reducing their armies and ability to wage war. This lack of will to fight pushed both countries towards the policy of appeasement which involved giving into the demands of an aggressive country in the hopes that the aggression could be contained. 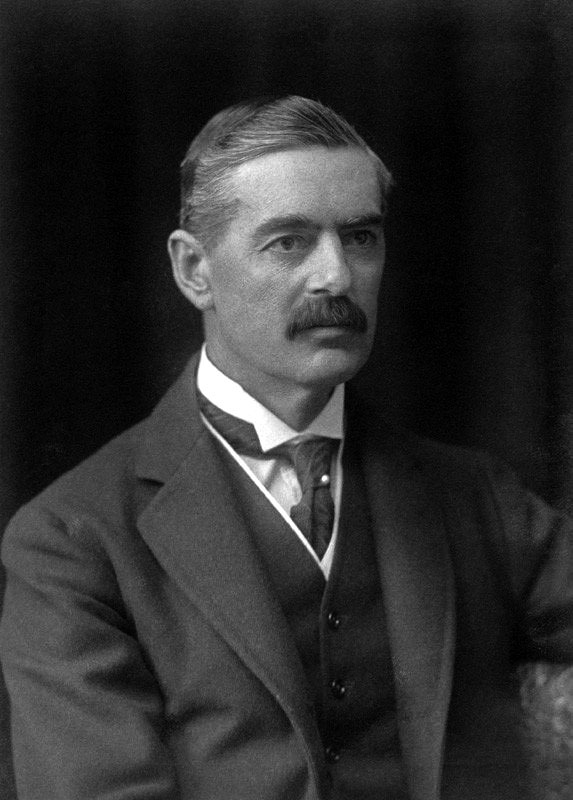 The policy is closely linked to Neville Chamberlain who was the British Prime Minister at the time, as he is the one who proposed it as the best means of containing Nazi aggression and avoiding a world war. The policy of appeasement that was carried out by Britain and France is often considered to be one of the main causes of World War II and began by Germany carrying out actions against the basic terms of the Treaty of Versailles that Germany was forced to accept at the end of World War I. For example, one of the first steps Germany took was to remilitarize the Rhineland. The Treaty of Versailles required Germany to keep the Rhineland (a region in Germany that bordered with France) free of any kind of military forces. However, on March 7th of 1936, Nazi Germany remilitarized the Rhineland under the direction of Adolf Hitler. France was angered by the move but lacked the ability to respond and did not have the support of Britain as Britain did not fully denounce the move. This lack of a response by both Britain and France to the remilitarization of the Rhineland only confirmed for Hitler that he would not be challenged as he expanded his aggression. Next, Nazi Germany carried out the annexation of Austria in 1938. The Treaty of Versailles forbid Germany from uniting with Austria but Hitler, who was born in Austria, wanted to unite all Germany speaking people under his control. The German annexation of Austria was known as the Anschluss which was the Nazi German term for bringing together all German speaking people in the region. In order to conquer Austria, Hitler threatened invasion of the nation-state and forced the Austrian Chancellor to hand power of the country over to the Austrian Nazi Party. After obtaining power the Austrian Nazi’s “invited” the German forces into the country and the annexation of Austria was complete. Britain and France protested the move by Germany but did not respond in any meaningful way, which furthered Hitler’s belief that the Allied nations would not stop his aggression. The policy of appeasement unfolded again with the German aggression towards Czechoslovakia in 1938. Czechoslovakia, as a country, was created after World War I and parts of it included German-speaking people, such as the Sudetenland. Again, Hitler pressured Europe with his military aggression in the goal of uniting all German-speaking peoples under the control of the Nazi’s. 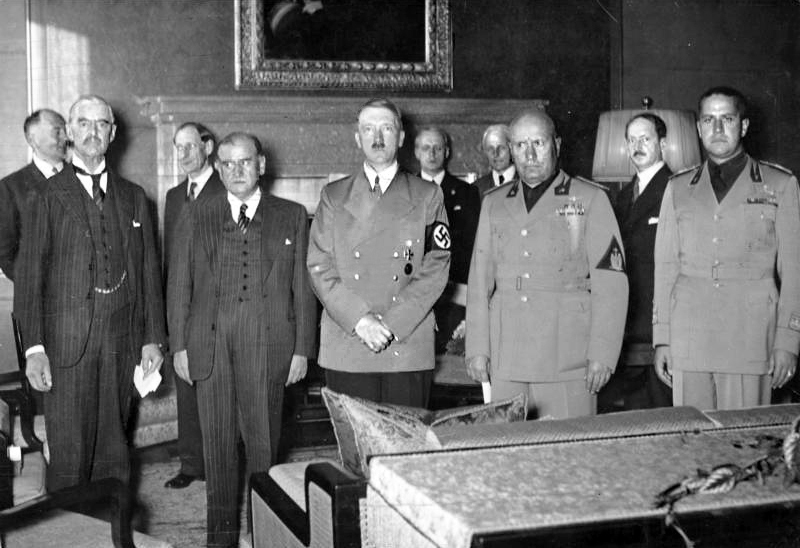 A two-day conference in Munich was held in 1938 in which the leaders of Britain, France, Italy and Germany met to discuss Germany’s desire to take over the Sudeten region. The deal was an even bigger defeat for the Western powers, as they allowed Hitler with no resistance to take over the Sudeten region. As well, the outcome of the conference angered Czechoslovakia as they were not allowed to represent themselves and their interests at the time. Western powers had pledged to protect Czechoslovakia, but failed to follow through and left the meeting relying on Hitler's written promise that Germany will not seek any more territory in Europe. The Munich Conference was an embarrassment for Neville Chamberlin, who returned to Britain and announced that he had helped ensure “Peace in our time” while holding up the agreement signed by Hitler. For Hitler, the conference furthered his belief that the Western democracies were weak and that they would not act in the face of Nazi aggression. 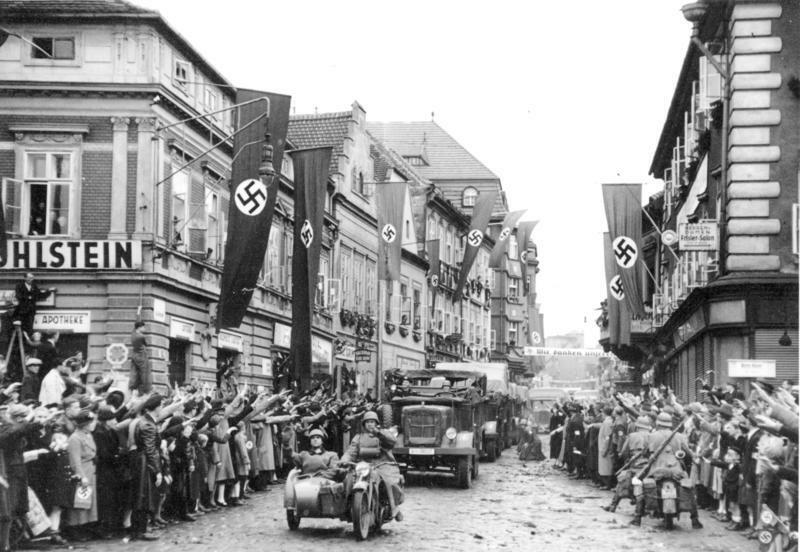 Germany soon took control over the remainder of Czechoslovakia through a series of invasions. ​Controlling Czechoslovakia was not Hitler’s final wish as he also wanted to take Poland. Poland was also created at the end of World War I and actually divided parts of Germany from one another. East Prussia was divided from the rest of Germany when Poland was granted a corridor of land so that it could have access to the sea. In hopes of further avoiding a conflict with the major powers of Europe Hitler signed a non-aggression pact with Joseph Stalin of the Soviet Union. The Soviet Union had a mutual defense agreement with France and Hitler hoped that a non-aggression pact with the Soviet Union would help Germany avoid fighting a two-front war should the other powers of Europe move to stop German aggression. 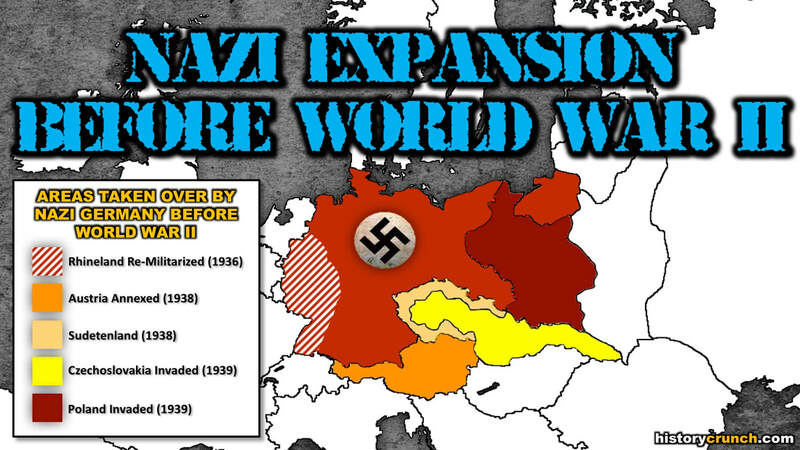 Once World War II was over, the policy of appeasement practiced before the war was criticized because it was thought that it directly helped Germany to strengthen its economy and military. Some historians have argued that if the British and French had acted earlier than the German invasion of Poland, then they may have been able to stop Hitler and the Nazi’s and avoided the devastation of World War II. As such, many now look to the failure of appeasement as a reason to not use the same foreign policies in modern-day global conflicts. On the other hand, defenders of the policy argued that appeasement was a reasonable approach to avoid the bloodshed of global war and that Britain and France were faced with no other alternative since they lacked the military forces to properly confront Germany.